SAFE Youth is the Workers Compensation Board’s educational behavior modification program that aims to reduce workplace accidents for youth between ages 14 and 24. They needed a way to deliver their message so it would be receptive to youth. 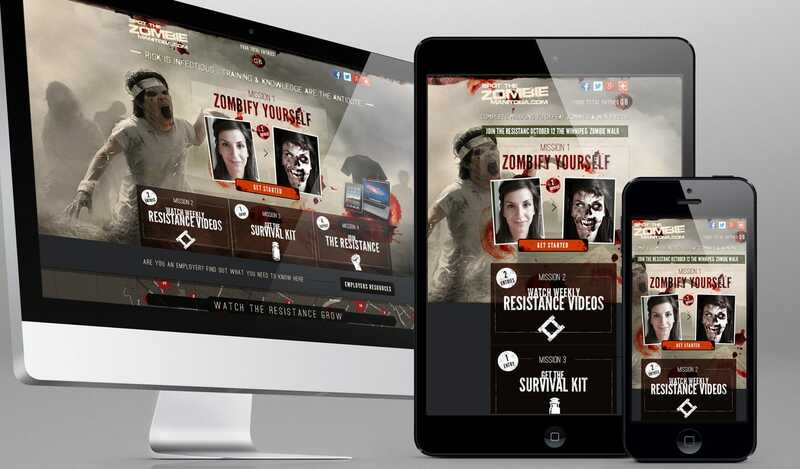 ChangeMakers Marketing came up with an engaging campaign that said workplace injuries can spread like a zombie virus. 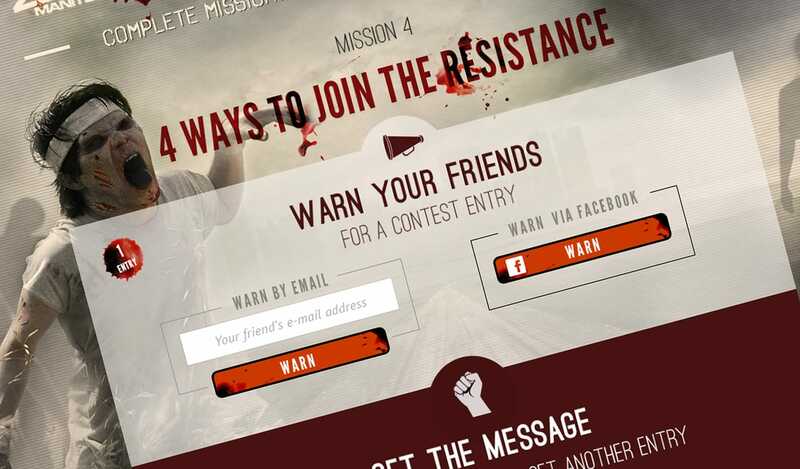 They needed Tactica to make the campaign interactive, personal and integrated with Facebook. 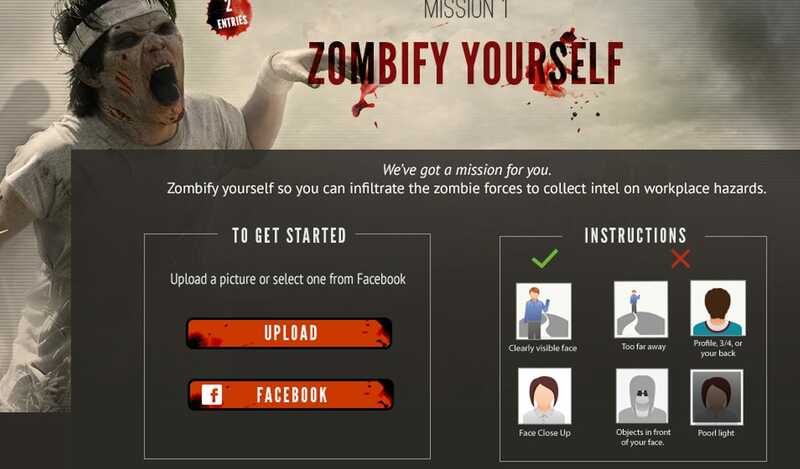 Tactica delivered a socially integrated web app enabling users to turn an image of themselves into a zombie. 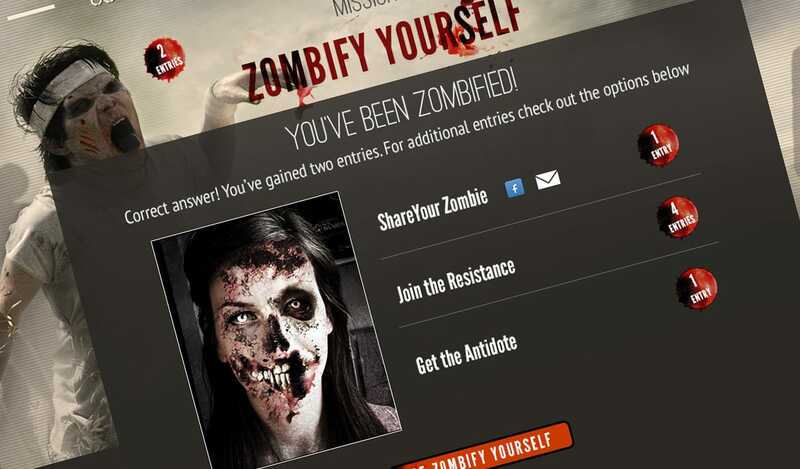 The personalized zombie image is fun, relevant and easily shareable on social media platforms like Facebook. joining the SAFE Work mailing list. The contest entry form allowed our client to capture valuable information about participants including demographic and psychographic details that could be used to enhance future campaigns. a 200% increase in site engagement and contest entries compared to measurements done during the same time period in the previous year. SAFE Work – a partnership between the Workers Compensation Board of Manitoba and Manitoba Workplace Safety and Health – aims to build a strong safety and health culture in Manitoba. Their mission is to prevent workplace injuries and illnesses through promotion, protection, and education. Changemakers is a full-service communications firm that does business according to the idea that change is good. To them change is constantly growing, succeeding and getting better. Change means inspiring our clients and people on the street to do better, live better, be better.